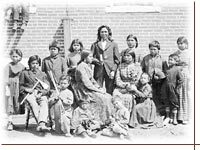 Historically, Indian education meant "assimilation." Learn about the history of Native American education. Yet, like all our children, these youngsters are inspired by the dream of a better future. Since 1997, the American Indian Education Foundation (AIEF) has given hope to Native American students by providing the tools they need to succeed. With AIEF scholarships and mentoring, more Native American students succeed in college. 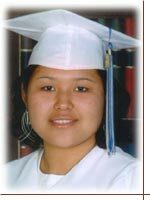 We provide essential learning materials to Native American students in need of all ages through the School Supplies service..
We help college students stay in school through the Emergency Funds service, which enables post-secondary schools to provide one-time assistance to students facing financial difficulties. We offer small grants through the Tools of the Trade service to vocational/technical schools so they can provide professional supplies to Native American students who may otherwise be unable to afford them. Paula Long Fox is Chairperson of the American Indian Education Foundation (AIEF). She has been a teacher and guidance counselor since 1980, primarily in schools with majority-Native American enrollment. Ms. Long Fox grew up in rural South Dakota. She received her Bachelor's degree in history and her Master's in School Administration and Counseling from the University of South Dakota in Vermillion, S.D. * This free guide, Tools for Success, is in PDF-format, which can be read with Adobe Reader. In case this free program is not installed on your computer, please click here and follow the steps to download the software for free.